This topic has 477 replies, 90 voices, and was last updated 13 hours ago by nemesis. Yes, is that his first (post F1) win against a competitive field or did I miss something else? Le Mans/WEC can’t really count as he was only “racing” his own team. Ecclestone to buy back Formula 1 at bargain price? Would be interested to know who the source of that was. IIRC Christian Sylt writes for the WSJ and he was widely regarded s Bernie’s puppet, and was (still is) vocally anti-Liberty. Good win for Alonso in Daytona. Good win for Wayne Taylor Racing, for which Alonso makes up only 25% of the car’s driver lineup! Looks like that story I posted is a crock of s…! Oooh! This looks nice. Wonder how wide the track is. Alonso was lapping 2-4 seconds quicker than the field in his stints, taking the car waaay up the order each time. Very unlikely the team would have been in the right place to win without him. Caught Alonso’s stint around 4 hrs in where he took the car from 7/8th to first and opened up around a 20 second lead within 30 odd minutes. On the brakes in to turn 1 no one could hold a candle to him, the move on the Mazda (77…Rene Rast?) for the lead was outstanding, came from miles back, late on the brakes, up the inside and away he went. Also in the rain I’m sure his team mate Taylor admitted to being out his depth and they popped FA back in the car for him to be up to 5 seconds per lap quicker than the field. Really enjoyable race, although the cars are not as fast as F1 you could really see the speed the cars were travelling at and the closing speeds between the different classes is unbelievable at times. FA is a great driver but far too political for his own good, maybe a year in other series will see him re-evaluate and come back a little calmer than before for one last stab at a third WDC. Yeah for sure he was the best driver in the car, but that doesn’t make up for the shoddy journalism that’s been going around surrounding this story (BBC and Autosport, I’m looking at you!). Yes, he’s the most noteworthy driver in the car (and even the whole field) but, that doesn’t mean that he won the race single-handedly. Same can be said about the Le Mans coverage last year, this is endurance racing, it’s a team sport. You win as a team and lose as a team. To say Alonso wins without even mentioning the fact that he was in a team is downright offensive to the series as a whole! And I’d be gobsmacked if good ol’ Rodney Sandstorm actually seriously said he was out of his depth in those conditions. He’s one of the greatest DPi drivers in the world and he’s won races for his teams in comparable conditions in the past. The bits that I tuned into with Jordan in the car he was absolutely smashing it in the rain, maybe not as fast as Fernando Lemanso, but definitely faster than the rest of the field! Sauber renamed Alfa Romeo Racing for 2019 – no big surprise there! Just seen the Sauber news. Not unexpected but it’s a shame to see another historic privateer outfit (even if now in name only) lost from the grid. Just Mclaren and Williams left now…. I wonder how long before one of those goes under or is bought out? 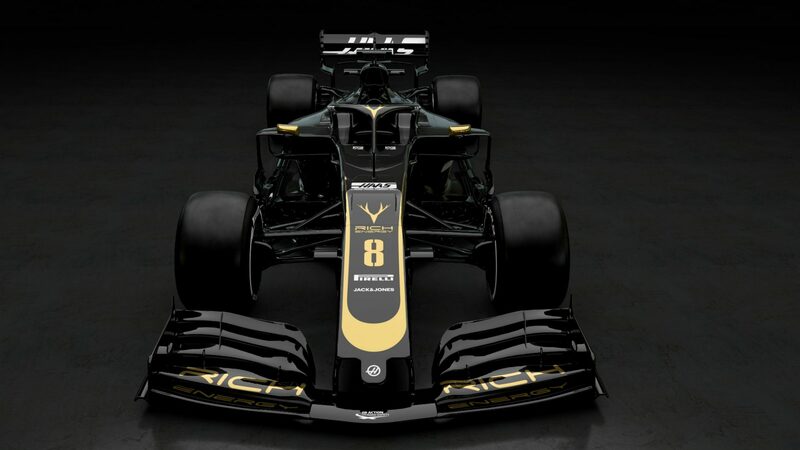 Do you think anyone at Haas has realised their new sponsor, Rich Energy, has stolen Whyte Bikes’ logo?! Rich energy are due in court v ATB sales ltd on the 12th and 13th of March with a decision due 1st of May. My personal favourite Schumacher moment was at the British Grand Prix when he forgot to turn right at the end of the hanger straight. love it, there’s some mumbling that rich energy are going to have to change their logo as it’s too close to Whyte Bikes logo. THAT is a good looking car. Yes, I just hope Haas got the cash up front! 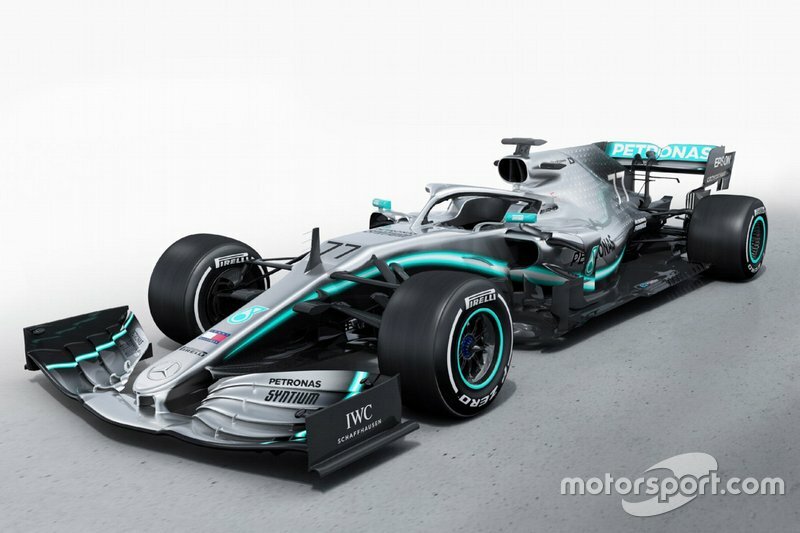 With those two driving, they may as well have done the press shots with the front wing missing. 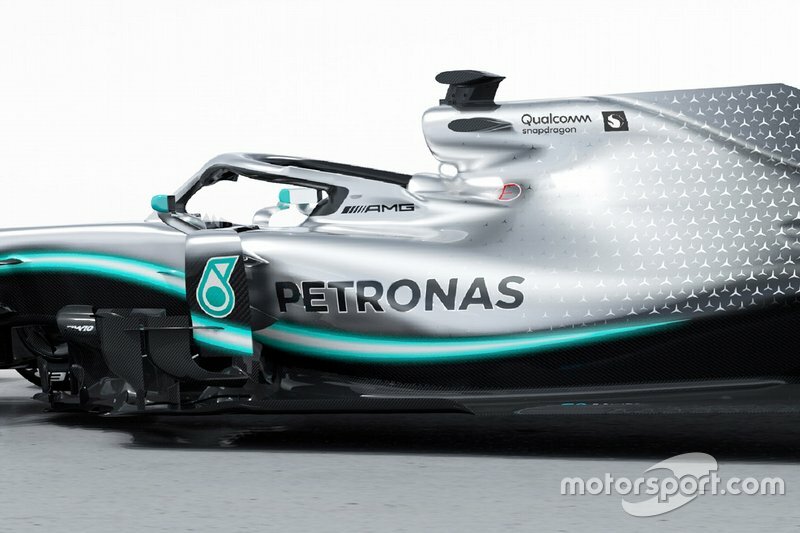 same old livery, still looks good though. Bargeboards quite different to last years car. Scarbs reckons they’re just placeholders on this render though. Williams livery due in 10 mins or so. …much the same way as Lewis had to use a Blackberry! Don’t really like the look of the Williams but after the Martini colours anything was going to be a let down. It’ll look a lot better if it finishes further up the field though. Fingers crossed. So Williams have a phone company sponsor who don’t appear to be shipping product. Haas have a drinks sponsor who don’t seem to be shipping product. F1 is **** isn’t it? 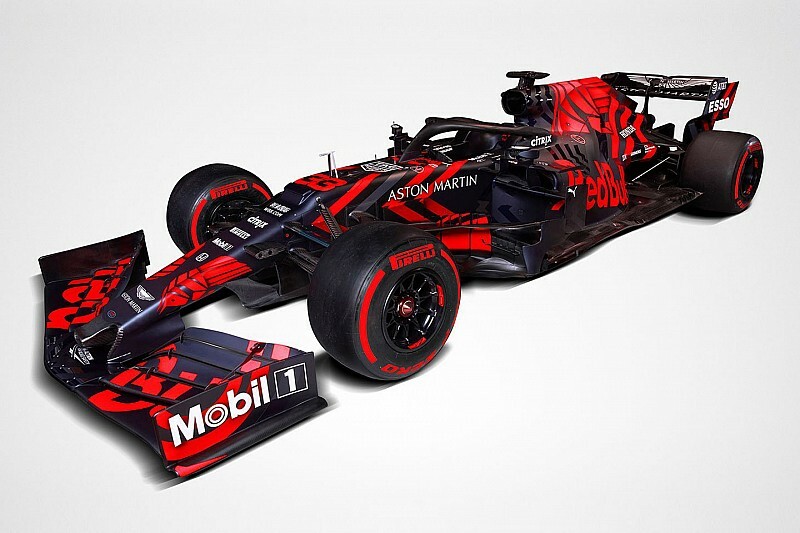 BAT back with McLaren now too. 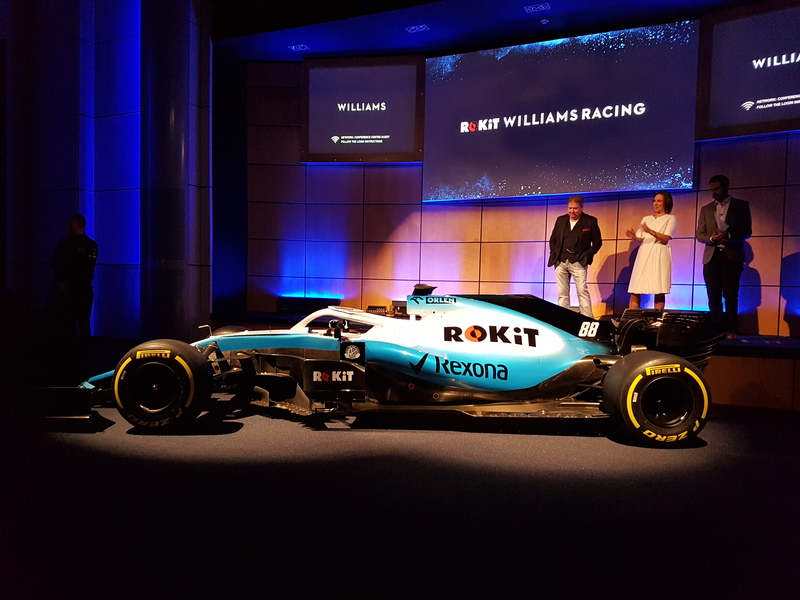 That new Williams livery hides the Rexona logo as well. Not as visible as before. Have to say it’s all a bit ‘meh’ so far this year. 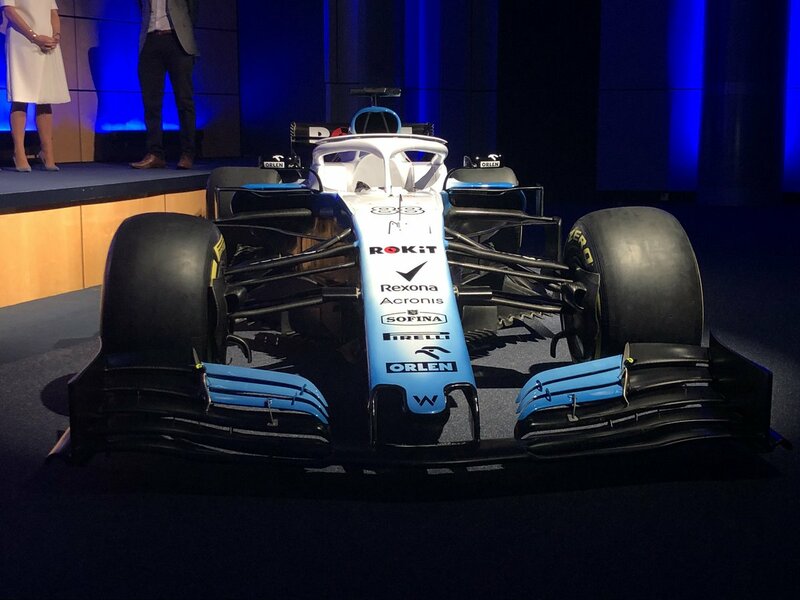 We’ve got last year’s Williams wearing a worse livery, some renders of a TR and a shadowy photo of a dark Haas taken in a dark room to hide any detail. 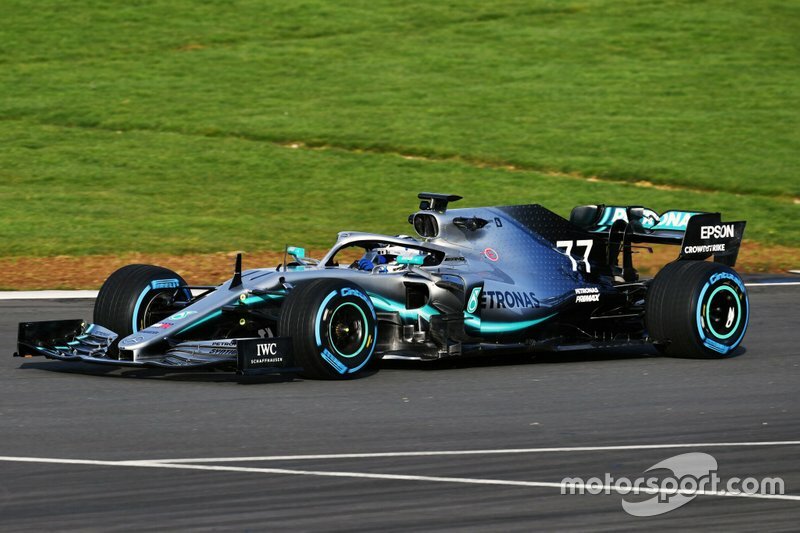 Bring on next Monday when all the talking stops and we see who can actually put in some reliable laps in testing (not that the times in testing ever mean much, it’s more about seeing how far the RB/TR goes before the first Honda goes pop). 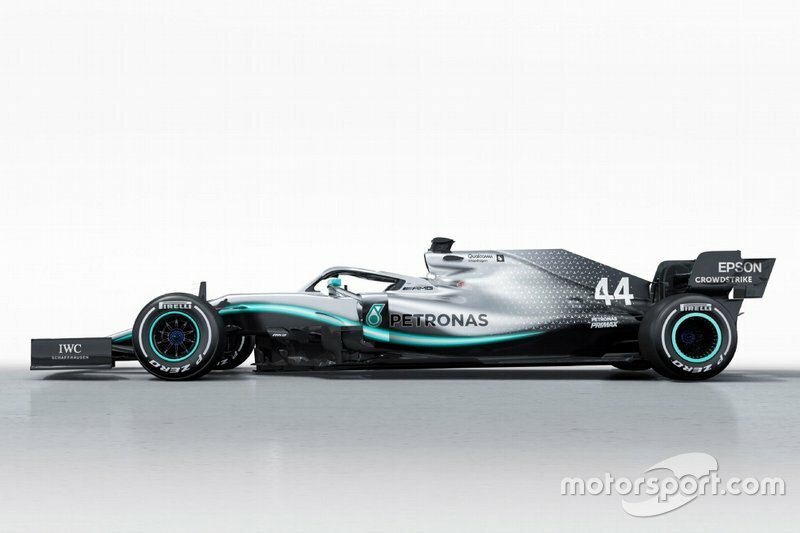 Merc are bringing an ‘all new’ (according to motorsport.com) engine. Shame, i like that livery! Now, I’m no F1 engineering god but given Honda’s history of tight packaging & heat management in the McLaren, would you be pushing the limits on your first foray with their PU?